Inside this bustling bakery you’ll find petit fours, cream horns and other delights; these treats are a dime a dozen in San Francisco, but nobody does them like Dianda’s. 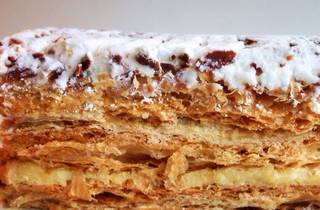 Dianda’s napoleon, in particular, stands out for its moist-yet-flaky crumb and deep flavor. 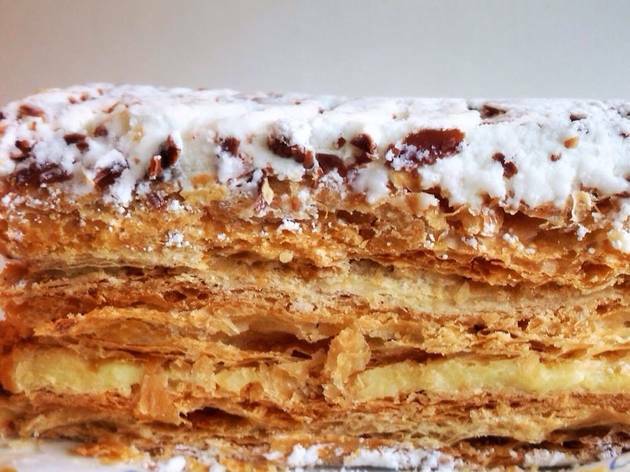 Layers upon layers of buttery puff pastry are sandwiched with a rich custard; the result is dense, sweet, and every bit an indulgence. To balance the decadence of the pastry, Dianda’s forgoes frosting and instead opts for a topping of barely sweetened whipped cream and a dusting of cocoa powder. One serving is substantial enough to serve two, though we can’t guarantee you’ll want to share.